The emerald ash borer has officially been found in Sioux Falls and the city has begun it's tree removal process. One name has been changed in this story in order to maintain the anonymity of a source. This name will be indicated by a * during the person’s first mention. 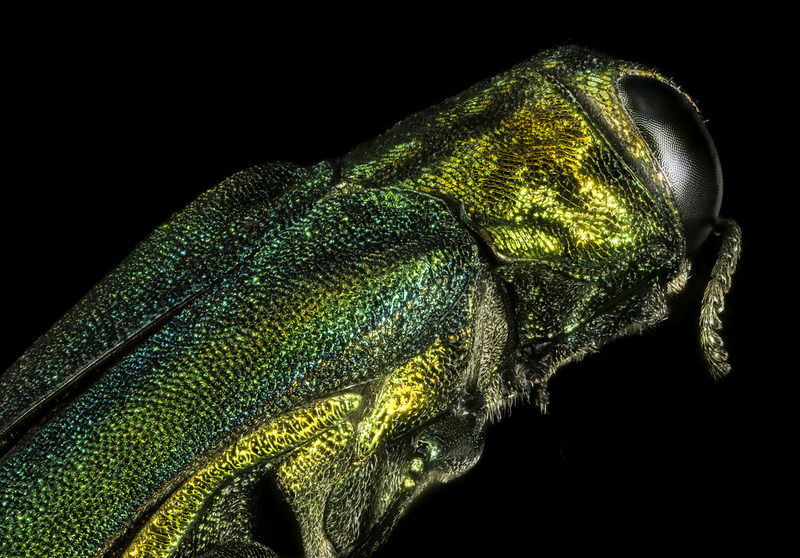 The emerald ash borer is a serious threat to all ash tree species and many cultivar hybrids in North America. The emerald ash borer was officially detected in the Northern part of Sioux Falls last may, announcing its inevitable spread within the city. Since the discovery, Sioux Falls has taken precaution and is currently attempting to slow the destruction and the subsequent effects that the loss of trees will have on its citizens, urban forest and overall landscape. “My role in the ash tree removal program is to provide all necessary equipment to make sure our teams have what they need when they need it so they can be as efficient as possible when removing trees,” said Kevin Powers*, a worker from the Sioux Falls Parks and Recreation management team. Ash trees in Sioux Falls on the path to removal are marked with a blue nine. These trees have been specifically chosen and mapped out as the best candidates for removal because of their locations across the city. The city is choosing to remove specific trees, which they hope will slow infestation across the city; however, some experts are saying that the city will see the direct impact of this disease in the next couple years. For many homeowners, losing their ash trees is a devastating reality. The trees are an iconic feature for many neighborhoods and parks. Fortunately, there is a way to combat the emerald ash borer. However, the weapon for combat comes with a high price tag and with no guarantees that the remedy will be successful in saving the trees, making tree removal the better option for most. There are many practices that have been put in place throughout the country in order to reduce the spreading of this infestation, but nothing has stopped it completely. The beetle can fly serval miles at a time; therefore, it is easy for it to find another host tree and continue its infestation. The city has had a plan to deal with the Emerald Ash Borer disease since 2009 because they knew it was just a matter of time before it reached Sioux Falls. 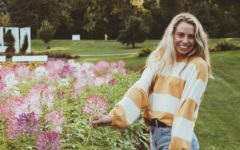 The City of Sioux Falls Certified Urban Forest worker, Duane Stall, put together the plan using the most modernized practices learned from other communities, states and governmental agencies dealing with the same issue. Ash Trees become very brittle when they die, so this could be a potential hazard to citizens because Sioux Falls experiences very high winds and extreme weather patterns. These winds could easily knock the feeble trees over and cause more destruction and damage to the city. Because of this, the city finds it necessary to take the initiative to remove ash trees before this could take place and cause even more harm. “If our ash tree population was only 5 percent of the overall makeup of the urban forest this wouldn’t be as impactful to our community,” said Powers. The Ash Trees make up a large amount of the urban forest in our city. We will undoubtedly see a big shift in the aesthetics of our neighborhoods, parks and nature ways. However, the park has already learned from this occurrence and plans to limit the amount of a singular tree species in order to diversify our urban forests. By working with certified foresters and industry leaders, the city hopes we can reduce detrimental occurrences like this in the future.